In this article I want to focus on mechanical Action Camera Stabilizer. 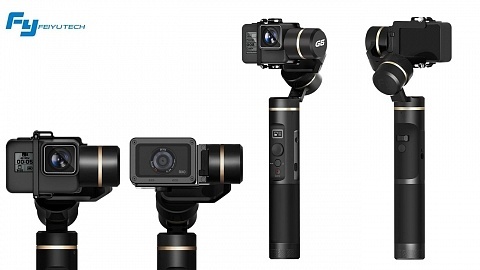 If your are looking for electronic stabilizers – gimbals – check out my Gimbal Overview, where I put together an Overview with some of the gimbals reviewed. Steadicam is a well known and award winning company for camera stabilization systems. They have been providing the industry with different solutions from broadcast to small cameras. So it seems a logical step for them to offer a GoPro Stabilizer – Steadicam Curve. It’s lightweight and made of a durable aluminum frame. On top it uses the GoPro quick connecter system to easily attach/detach the camera. On the back there is a fine-tune knob for precise forward/back balance adjustment. The counterweight on the bottom is used for left/right balance adjustment. Steadicam Curve is available in black, blue, red & silver. Compatible: Specifically designed and engineered for the GoPro Hero, Hero2, Hero3, Hero3+, Hero4 Black, and Hero4 Silver. It requires the LCD BacPac for proper balance and monitoring. I assume due to the design and the calibration options it will work with similar sized cameras, I will try. Since the copies of Steadicam Curve are not much cheaper I got an original Steadicam, a review will follow soon! Seems like this design showed good results, as there are many similar looking stabilizers available. They are offered with different brand names, but the design looks the same. The Fantaseal model even got a remote control clamp on the handlebar, which the Steadicam does not have. The functions seem to be the same for all of them. A knob to fine-tune forward/back balance and a counterweight to balance left/right. So check the details of each product description what is actually included in specific package. Compatible: Similar to Curve it is compatible with GoPro, GoPro Hero 3+, Gopro Hero 4 & a LCD bacpack is recommended, I’ll test it. Stabylizr is a mechanical stabilization system that damps and minimizes your body movements so they don’t get transferred to your action camera. You can use it either with the included grip or with any GoPro mount instead! Stabylizr is 100% waterproof, needs no battery and even floats when using with the basic grip. You can also get it with a power grip that holds a battery to power or charge your camera. 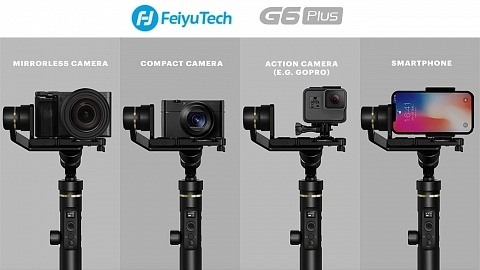 Compatible: works with GoPro Hero and Hero [2,3,3+,4,Session] and GoPro sized cameras. The max. camera size you can use with the Stabylizr is the GoPro Hero3 with the old big housing plus BackPac (78 x 69 x 48mm). YI Action Camera can only be used in the frame not the housing. Their Indiegogo was funded, the first batch will be shipped soon. Check the details on their campaign site. I like the idea of using different mounts with Stabylizer, so I ordered one, a review will follow! Smoovie is a very small stabilizer, not only for action cameras, but also for smart phones. It’s easy to set up, just pull out the telescopic counterweight balance to the marker for smartphone or GoPro, and Smoovie calibrates itself. A patent-pending gimbal design uses two lightweight but super strong neodymium magnets. This magnetic attraction is what keeps shots steady by reducing the shaking created when you walk or move. 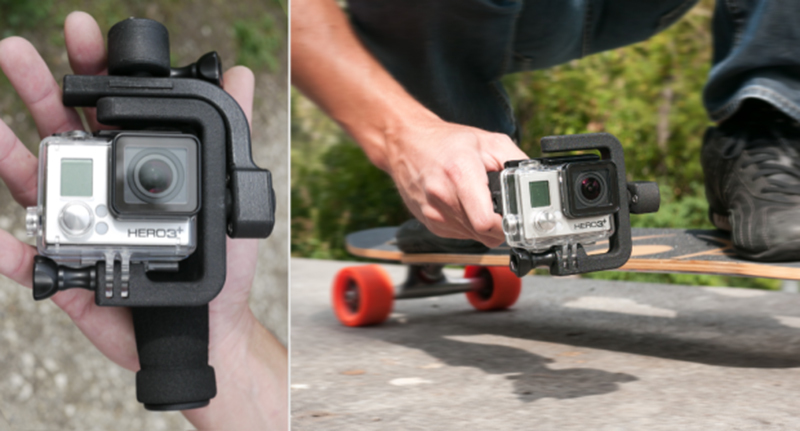 Be sure to get Smoovie Plus, which comes with the GoPro Adapter. Compatible: Holds smartphones up to 86mm in width and 225 grams in weight. All GoPro models work with Smoovie Plus, due to the design I expect all similar shaped cameras to work with that stabilizer. Their Indiegogo campaign is already funded, check out more details on their campaign site. This stabilizer is made for larger cameras, but also shown with smartphones in the product description. You might want to consider this one, if you don’t want to limit yourself to action cameras only. You can balance the camera by using several threads on top of the stabilizer and by varying the counterweight at the bottom. Be aware that it might be tricky to balance the camera accordingly. Please check the product description for each offer, as the stabilizers might vary. Compatible: Holds smartphones, action cameras, small DSLRs up to 1kg. Many People use a handlebar (C Handle Grip, Scorpion) to stabilize their videos. Be aware you video will be smoother, but thats more related to the way you hold your camera with the handle bar, than from the device itself. 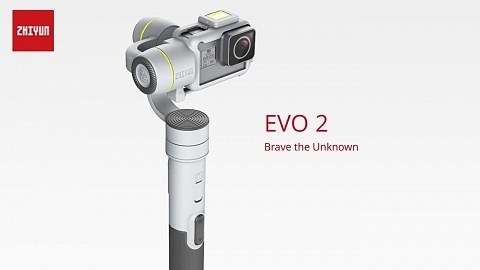 The grip has no mechanical parts which will stabilize the camera and the video! But you can also benefit from the form factor and mount additional gear like external microphone, lights or a power bank. In general you video will get smoother, the heavier the device you are holding. Compatible: Holds smartphones, all types of action cameras and DSLRs. I hope you got an overview of the available GoPro stabilizers. I’ll update this blog when I find new interesting products. If I missed one, please let me know in the comment section. Check out my Action Camera Gimbal Overview and compare with the mechanical stabilizers.